Using drones, whether against foreign enemies or against American citizens, without respecting other countries national sovereignty, international humanitarian law or the right to due process have created controversy among the American public, the international community and legal scholars. 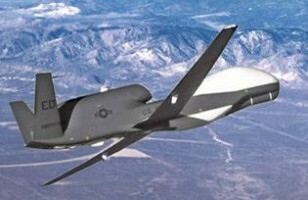 In this article, I will first focus on drone programs and its effect on the American people. Then I will explain how citizen participation, the right to due process and the rule of law can be essential in influencing drone policies toward better democratic governance. Today, U.S. drones are flying over numerous countries throughout the world with far more developed sensing capabilities to track, target and eliminate the enemy while they are controlled by someone in the United States. According to Shaw, recent research shows that since 2004, 405 drone strikes in Pakistan has led to the deaths of approximately 3,800 people. This has led to a huge outcry over its violation of national sovereignty, due process violations of American citizens and violation of international humanitarian laws. Since announcing the killing of four American citizens through drone strikes by the Obama administration, the debate over this issue has increased. Many Americans are now trying to get involved in order to shape public policy. In addition, many politicians are asking the Obama administration to respect the right to due process that is granted to the American people by the Constitution. Finally, lawyers and legal experts claim that Obama violated the rule of law by giving himself the authority to authorize such drone strikes against U.S. citizens. Thus, democratic principles, such as citizen participation, the right to due process, and respecting the rule of law, can influence the drone policy for a better outcome for American citizens. Ank Michels in a 2011 International Review of Administrative Sciences article titled “Innovations in democratic governance: how does citizen participation contribute to a better democracy?,” noted citizen participation is key in the decision-making process of democratic governments and is valuable to influence drone policies in the United States because they have a strong voice in shaping government decisions about this program. Since the citizens have the power to elect their representatives and the president, they also have the right to protest policies they see as unjust. They can put pressure on the government to listen and go with what the majority of the public wants. According to Tina Nabatchi, citizen participation in the decision-making process can shape policies that contribute to democratic governance. The right to due process is every individual American’s right. Government is obligated, through the Constitution, to respect the Fifth Amendment and defend citizen’s rights by avoiding targeted killings and bringing American citizens to justice for whatever crime they have committed or have accused of. In his Politics article titled “The Jury as a Political Institution in an Age of Counterterrorism,” Fergal Davis wrote that the right to due process is vital for democratic governance due to several reasons such as transparency, legitimacy, ensuring rights that are granted by the Constitution to the citizens and safeguarding individual liberties. Rule of law is a key principle of the democratic governance. According to the rule of law, no one is above the law; not even the president. Bassiouni, et al. suggest the key importance of this principle is that everyone is obligated to obey the law otherwise they should be held accountable. For instance, in the United States, democracy depends strongly on the rule of law that limits the power of government which is mentioned in the Constitution and it further protects people’s rights. Even though respecting the rule of law might not be the case in regards to drone strikes against American citizens, it certainly helps in limiting the use of drones against American citizens by the government. In conclusion, using drones against American citizens without respecting the right to due process by the Obama administration has created a sphere of debates over its legality. For a large number of Americans targeted killings of citizens are against the Constitution. But for others, including President Obama, those targeted killings are legal. After reviewing different articles, it is obvious that active citizen participation, the right to due process and respecting the rule of law are key in the process of influencing drone policies that could lead to better democratic governance.